These devices are more economical than the huge and expensive 3D printers but it gives you the same power. That is, you can 3D print anything you design from your mind. If you’re looking for the best 3D printer pen in 2017, you’re on the right page! After considering the guidelines above, I understand that you are eager to buy 3D pens. Whether it is for your or for your kids, we want to make the task easier for you. 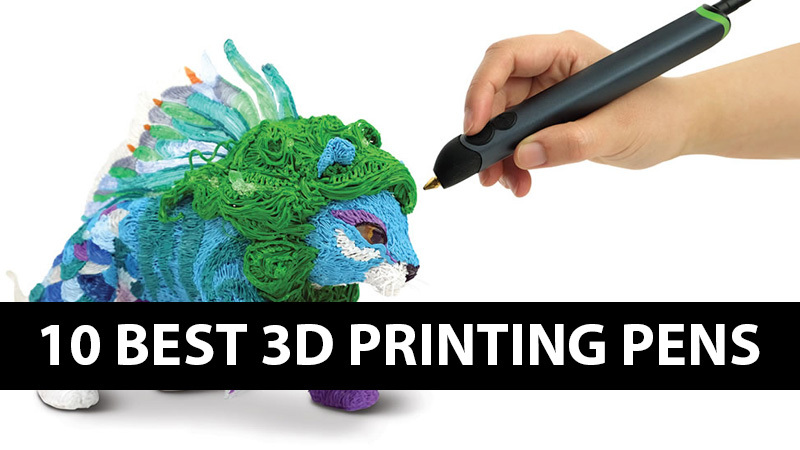 So, to cut your research short, we listed the best 3D print pen below. 3 Doodler Create is the slimmest, lightest and strongest 3Doodler to date. It comes with an improved design for easier usage and a better drive system for a quieter and smoother operation. Just like 3Doodler Create, MYNT3D comes with a rectangular body so you can find the buttons on one side. It also comes with a large OLED display which makes monitoring the temperature more convenient. It has a precision-crafted stylus to allow you to sketch, paint, and doodle three-dimensional objects. It is also equipped with adjustable stepless speed control where you can fill large areas and turn it down slowly to create intricate work of arts. MYNT3D Professional Printing 3D Pen is one of the most competitive and reliable 3D printing pens on the market. It is cheap but is packed with impressive features that really made us happy. Find its special qualities below. Kuman will not only impress you with its warranty and customer support because it is rich with great features. The following attributes will help you learn faster and love the craft even more. Smart Design – This is equipped with intelligence auto standby mode if it detects that the device is idle for 5 minutes. It also includes thermal design and filament jamming detection. Kuman is one of the 3D drawing pen favorites due to its impressive character, affordable price and great support and warranty. If you are looking for a great 3D pen to start the 3D printing craft, this will be a perfect choice. Soyan 3D printing pen has a close resemblance to Kuman in terms of shape and design. We initially find it bulky but it fits comfortably in our hands. Meanwhile, it lacks the LCD display that Kuman has but it still has light indicators and comes in a much cheaper price. This device is perfect for kids and adults who want to enjoy the art of 3D printing. It is very affordable too, making it a perfect kit for beginners and a great tool for education especially for arts and craft classes. We find 7TECH 3D Printing Pen very similar to it at least in its feel and look. We mentioned earlier that Soyan is similar to Kuman but this is even closer to the latter. Both come in the same shape and design. They also have an LCD screen that displays the temperature. 7TECH has received great reviews from its customers due to the following features. To give you peace of mind, we can also attest that these attributes work pretty well and yes, they make 3D printing painless and more fun. Step-less Speed Control – The company recognizes the need to allow their customers to change speed when necessary. This is for easier control of the pen. With 7TECH, you just have to slide down or slide up the control to speed up or slow down or achieve a speed in between. LCD Screen – Different materials need different temperatures to melt, that’s why adding an LCD screen makes it so much easier for the user. You need not wonder about the material or temperature with this pen anymore because you can find it on the LCD screen. Stencil eBook – We love brands that support the interest of their customers and 7TECH showed this to us by including a 3D stencil eBook on their package. Among the things you can try out in this tutorial are sunglasses, bicycle, butterfly and more. Overall, this product is designed to be user-friendly. It is safe for children 8 years old and above and is packed with useful attributes to make the process more enjoyable and convenient. We love this and you will probably too. AIO robotics 3D printing pen comes with a solid feel, slender body and a few buttons to make it easy and convenient for use. It feels good when you hold it and the ease of use can never be compared. It heats up fast, easy to load and unload and very convenient to operate. Speed/temperature control – The brand understands that you need varying speed and temperature to achieve the results you wish to accomplish. This device allows you to adjust the speed and temperature so you can work your way around. Warranty – To make your purchase worth it, AIO Robotics offer a 1-year manufacturer warranty. But this only applies if you use the product with AIO Robotics filament. AIO Robotics full-metal premium 3D printing pen is one of the best options you can find on the market today. Its ergonomic design, powerful features, and impressive functionalities make this stand out from its competitors. But, aside from this, they have awesome customer service that addresses your after-sale concerns. You rarely find a company that reaches out and offers you a replacement when you are not happy with their product. AIO Robotics does this because they want their customers to be happy and satisfied. Unlike most 3D pens on the market, Dikale comes in a cool and attractive design. Some come with an adorable cat-design. It features a one-key operation, which makes it easier for kids to operate. It also features an OLED display that shows temperature and speed adjustment as well as the PLA/ABS mode. This pen is very easy to use and operate, most importantly it is safe for kids. Here are some of the features that make this all the more manageable. One-key operation – Dikale only comes with a single button because the brand knows that equipping a device like this with tons of buttons will only make the operation more cumbersome. Thus, it’s easy to operate. Speed/temperature control – The brand recognizes your need for varying speed and temperature to achieve the results you wish to accomplish. Thus, this device allows you to adjust both. The speed can be adjusted to low, medium and high. Filament mode memory – You don’t need to adjust the PLA/ABS mode as the 3D pen is smart enough to remember your last setting. So, if you are using PLA and have to load the filament, you don’t have to adjust its PLA/ABS mode setting again. Aside from the aforementioned, this pen is equipped with tons of freebies. It has finger stall, 3D drawing stencils with 8 patterns, PVC drawing board, pen holder, USB cable, power adapter and user manual. That’s not all, to help you get started with 3D printing, it also comes with 12 colors of PLA filament. It has a helpful OLED display and multiple buttons for easy operations. This is safe and eco-friendly which makes it great for both adult and children. This pen is perfect for anyone that’s why you find it in our list. DigiHero 3D printing pen is packed with powerful and impressive functionalities that make it easy to operate. Check out the list of features to expect from this machine below. Easy to load and unload – Just like AIO Robotics’ 3D pen, this is equipped with feeding and unloading filament buttons which makes it very convenient for you to load and unload the material. Sleep mode – The brand includes this for additional safety measures. The pen enters in standby mode when not used in 3 minutes and the LCD screen display will read “SLEEP.” This is to ensure that your machine will not overheat. Due to its cordless design and use of UV light for curing, this device is more convenient and safer to use. This pen works for children 12 years old and above. 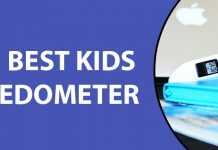 Since this pen does not get hot, it is great for kids who love arts. Its website is keen on helping you getting started by offering you the basic “how to” tutorials and more. How Does The 3D Printing Pen Work? Check Customer Reviews– Do not be contented with your research unless you have checked the customer reviews. Read it well and check the common concern about a certain product. 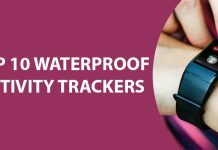 Checking the customer reviews is the fastest way to gather information about the product if it is efficient, reliable and worth it.